Water Damage – J. Bowers Construction Inc.
Water and flooding can cause extensive damage over time, including the deterioration of materials and an increased risk for mold and pests. 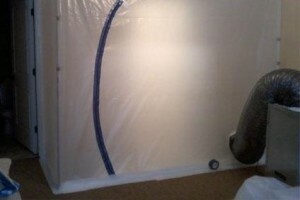 If your home has experienced a leak, flooded basement, or any other type of water or flood damage, J. Bowers Construction has the experience and the tools necessary to ensure the water damage restoration process is fast, smooth, and effective in eliminating any signs of flood damage from your property. There are many possible causes of home flooding, including plumbing leaks, sewage backups, and storms or other natural disasters. While all water damage is bad for your property, the source of the water can play a role in whether your home is safe for you to inhabit before water damage cleanup is complete. The best water damage restoration plan for your needs often depends on the level of risk the waters flooding your home pose to your health. Clean water comes from a faucet or plumbing supply pipe in your home. This type of water is free of potential contaminants, but it can still cause bacteria and mold growth if not addressed quickly. Gray water may contain contaminants; sources of gray water include rainfall, sink drainpipes, and overflowing appliances such as washing machines and dishwashers. Although gray water is not clean, its risk to your health is usually low. Black water poses the highest health risk. This water contains potential pathogens, such as viruses and bacteria, which could make you or your family ill. Black water may also contain harmful agents such as heavy metals, pesticides, and other chemicals. Common sources of black water include untreated wastewater and sewage, as well as floodwaters that emanate from a stream, river, lake, or reservoir. Water damage is always associated with an increased risk of mold growth. This is because mold and fungi can only thrive in an environment where moisture levels and relative humidity are high. Although ambient air contains mold spores, without the right conditions, they will not settle and grow. In a home that has been flooded, however, standing water and damp surfaces or objects contribute both moisture and humidity, which allows mold spores to take root and begin growing quickly, often within 24 hours. Without professional mold remediation, the spores will continue to multiply, compounding the damage to your property and posing an additional health risk. If you are affected by a flood or fire, calling professional restoration services is the best way to protect your health and your property. You can reach J. Bowers Construction at 800-289-9050 any time to request more information or emergency restoration services. Homes affected by water damage are one of the most common insurance claims. The loss must be handled properly or the work can be never ending. Whether your water damage is caused by a natural disaster, or by a sewer back-up, you’ll need to be prepared to move quickly to ensure your building is restored and there are no health risks that could potentially affect your family. Mold infestations and other risks can occur if you wait too long, such as electrical shorts or malfunctions that could electrocute someone or even start a fire. Using state of the art equipment such as moisture and humidity measure devices, our trained professionals are prepared to evaluate the damage. We will remove the water within 24-48 hours, document the claim with our claim management software, then sanitize the affected area and contents to ensure your family’s health and peace of mind. 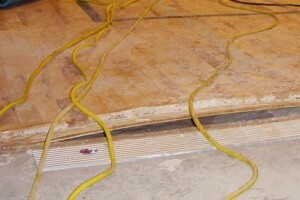 J. Bowers Construction Has Had Since 1959 To Perfect Our Water Damage Cleanup Process. Bowers Construction has specialized facilities dedicated to disinfecting & cleaning your belongings, eliminating bacteria that causes odors and could lead to mold. From framed family photos to your child’s favorite stuffed animal, we understand that every item in your home is precious to you and will receive our greatest care. Once we finish cleaning and decontaminating your property, our team of professional contractors restores walls, flooring, ceilings, structural elements, and woodwork to their original conditions. We want your home to match your memory of it. In addition to finding a reputable company, it is important to spend some extra time researching the credentials of the individuals that will be in your home or business. Our highly skilled Estimators and Technicians have undergone extensive training from the construction and restoration industry’s most distinguished trade organizations. Regardless of time frame, a J. Bowers Construction acts quickly to minimize the impact on your home and family. We work with your insurance provider on every aspect of your claim to save time and expedite the repair process. Our goal is to return your property to pre-loss condition as soon as possible. J. Bowers Construction since 1959 has the experience of working with insurance providers and homeowners. Feel free to contact us with any questions or concerns you may have regarding claims. Call us at 800-289-9050 or send us your contact information for a call back. Depending on a variety of conditions, most properties take an average of 3-5 days to completely dry. Continuous operation of professional drying equipment along with monitoring and adjustments made by a J. Bowers Construction team member will ensure the quickest drying outcome for your space. Our certified mitigation technicians will take moisture readings to determine moisture levels in the affected areas. Throughout the drying process, a representative from J. Bowers Construction will schedule periodic checks so they can monitor moisture readings and adjust equipment to accelerate drying. Noise and wind velocity created by air movers are sometimes bothersome. However, it is safe to stay on site unless instructed otherwise by your insurance company, your J. Bowers Construction representative, or your physician if you have unique medical circumstances. When in doubt, call us for advice. The type of flooring, amount of moisture exposure, and severity of loss determine whether your flooring can be salvaged or will require replacement. We aim to restore whenever possible. Your J. Bowers Construction estimator and claims adjuster can help determine the most cost effective solution. With J. Bowers Construction Rapid Response, water removal and thorough drying process, there is very little chance bacterial organisms could turn into mold growth. On occasion, J. Bowers Construction’s personnel discover untreated water damaged areas where advanced mold growth activity is already in process. In these cases, we isolate the areas until a licensed environmental hygienist can evaluate and determine a plan going forward. What type of equipment does J. Bowers Construction use? The property owner is responsible for payment. If you have filed an insurance claim, J. Bowers Construction will collect your deductible at the time of service. The day following your loss, you can expect a call from our manager of new accounts, making sure we have all the information to quickly and accurately submit your claim and set up your account. Your J. Bowers Construction estimator will take care of working with your insurance company, ensuring the claims handling process runs as smoothly as possible. If you need assistance with water damage restoration or flood cleanup, call J. Bowers Construction anytime. We offer free evaluation and emergency flood response. Call us day or night at 800-289-9050 or send us your contact information for a call back. During the winter, J. Bowers Construction sees damage to homes and businesses caused by ice dams on rooftops. Ice dams occur when heavy snow buildup melts during the day and then refreezes when temperatures drop overnight. It is common for the melted water and ice to work its way under the shingles until the water eventually enters the attic, causing damage to the ceilings, walls, and furnishings. If you notice a small leak anywhere in your home, take action to get it repaired. Waiting can lead to larger issues including water damage, structural damage, mold, and mildew. J. Bowers Construction handles everything from small leaks to large floods. If you have any questions about flood prevention or remediation, give us a ring at 800-289-9050. We operate 24 hours a day and have expert technicians standing by in case of an emergency. Besides the worry of getting your building repaired, you are more than likely also concerned with the money you could lose with your time out of production and or the safety of your staff. All of these concerns can be very stressful but J. Bowers Construction understands how important it is for business owners to reduce the loss of revenue after a disaster. Knowing that we work hard to get the job done fast yet safely while accurately documenting every step in our claims management software. So no matter if you are dealing with destruction from a storm, flood or fire damage, J. Bowers Construction is prepared to mitigate the loss ensuring confidence and trust. J. Bowers Construction electronics cleaning and decontamination lab is designed to process and restore damaged and contaminated electronics and data. Once items arrive in the EDS lab, they are handled and processed in an engineered and controlled environment.